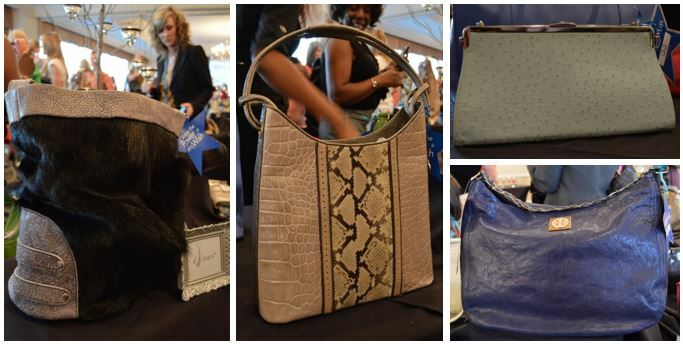 I recently attended Handbags & Happy Hour, a silent auction of high-end handbags to benefit Make-A-Wish. 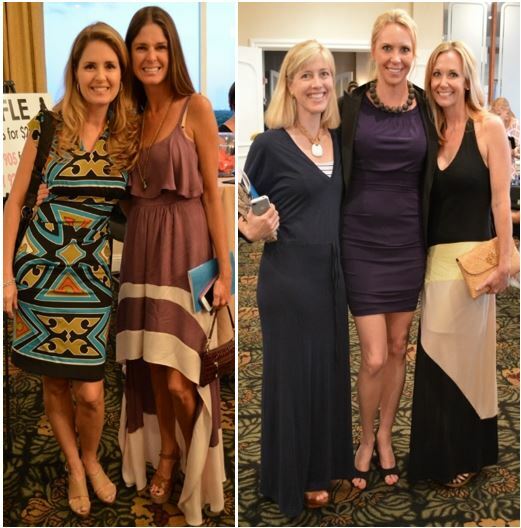 Held at the beautiful and stately Centre Club in Tampa, this was an affair to remember. With enticing offerings of signature cocktails, sushi & sweets upon entry, I knew I had walked right into heaven. 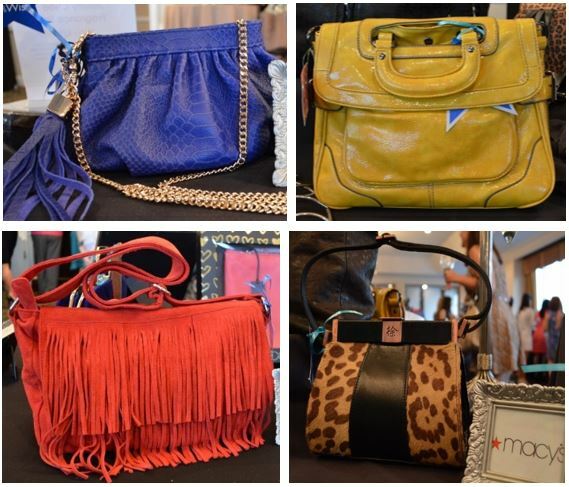 Beyond the bar was the golden treasure… infinite tables filled with designer handbags! I could hear the angels sing as I slowly waltzed in… sashayed really, I was excited! Here’s what: the silent auction was all negotiated via text messages on the bidder’s smart phone! What? That was crazy cool… unless you weren’t text savvy or were without cell. In which case, partnerships were formed. 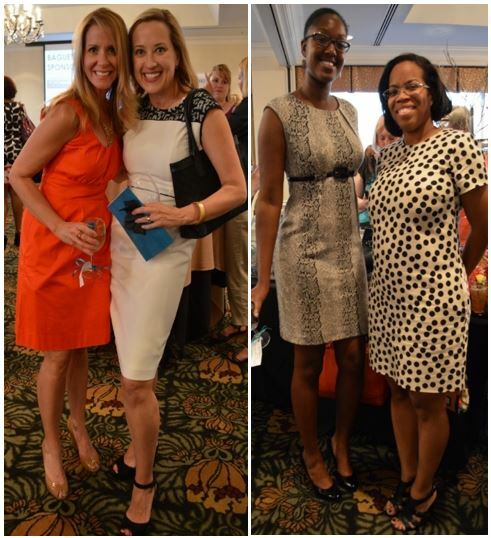 Most of the charitable patrons were dressed in casual cocktail attire and some were coming from work. I saw a lot of bold colors and spring prints, mostly knee-length dresses… I was the one in the black jumper! The handbags ran the gamut. There was literally something for every style profile in the room! The event ultimately raised $50,000 for The Suncoast Region of Make-A-Wish, which grants fantastical wishes for children with life-threatening illnesses. 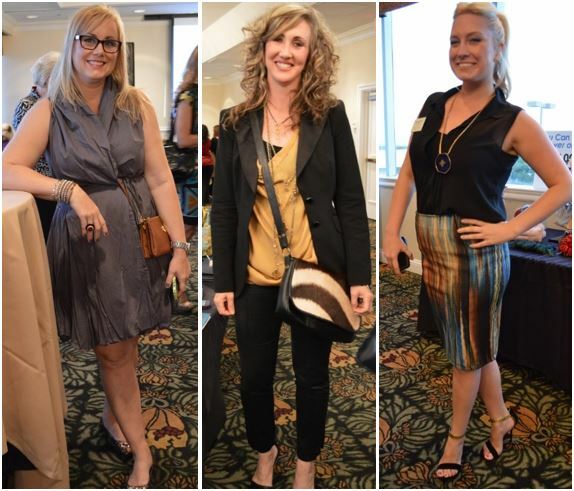 My three favorite looks of the night… well done ladies! 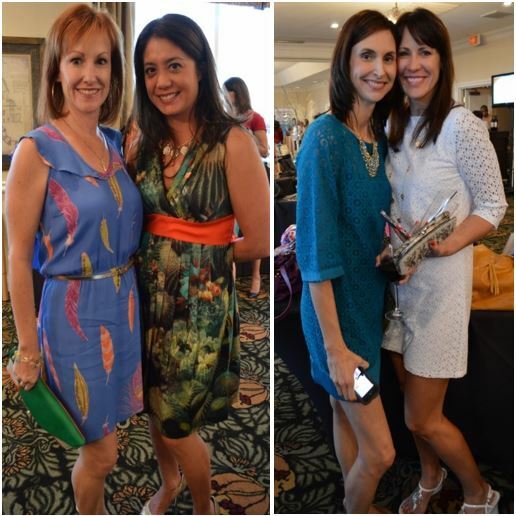 My 2 girlfriends and I attended as well, didn’t win a handbag, but what a wonderful time!